Ash Wednesday is the first day of Lent, the season we use to prepare for Holy Week. The date of Easter moves from year to year and so the date for Ash Wednesday moves also. 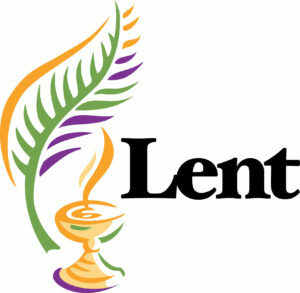 This year Ash Wednesday, and therefore the beginning of Lent, falls on March 1. The need for preparation for every religious event was second nature to the early Christians, the sentiment having been inherited from the first century Christians who were strongly influenced by the many Jewish converts (though they probably didn’t think of themselves as “converts” but still “Jews” who had received the Jewish Messiah). The Jews observed a day of preparation before every holy day, and a special preparatory service on Friday preceded each Sabbath worship. Every coming religious event had its proper means of making ready. We are not surprised, therefore, to find that the great seasons of preparation appeared on the Christian Calendar shortly after the appearance of the main ceremonies. Easter was the first special Holy Day for Christians, being observed immediately by believers (John 20:26; Acts 20:7; 1 Corinthians 16:2). (Each Sunday worship service is a celebration of Easter.) Very quickly Easter became a “season.” Originally it included the memorial of the death as well as the resurrection of our Lord, and was a forty-hour observance in token of the time Jesus spent in the tomb. A little later the Easter motif ruled from Palm Sunday to Pentecost. Holy Week is referred to in the Apostolic Constitutions in the third century. The pre-Easter season (Lent) was later extended to thirty days. Finally the Nicene Council (325 AD) extended Lent to the full forty days. Athanasius (c. 297 – May 2, 373), on a trip to Europe, found not only Lent but also Holy Week in full devotional use, and upon his return to Egypt he urged a stricter fast upon his people “lest they become a laughingstock.” Pope Gregory I (the Great) (c. 540 – March 12, 604) established Ash Wednesday in the sixth century as the beginning day of preparations. The choice of forty days has many biblical overtones. There are the forty days the rains fell at the beginning of the flood (Genesis 7:17). The Israelites wandered for forty years in the wilderness after escaping from Egypt (Exodus 16:35). Moses fasted for forty days when he received the Ten Commandments (Exodus 34:28). Elijah fasted for forty days (1 Kings 19:28) as he traveled to the “mountain of God.” Jonah warned the Ninevites that they had forty days to repent before God would destroy the city (Jonah 3:4). And, of course, Jesus fasted for forty days at the outset of his ministry (Matthew 4:2). The forty also references the time Jesus spent in the tomb, being buried on Good Friday and rising on Easter Sunday (forty hours). There are plenty of other “forties” in the Bible. The forty days of Lent are especially seen as reflecting Jesus’ time in the tomb and his fast at the beginning of his public ministry. 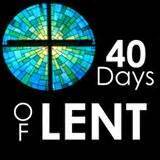 One final note: The forty days of Lent do not include the Sundays in Lent. As mentioned above, Sundays are a celebration of the Resurrection and therefore not considered a proper time for the austerity of Lent. The count of forty days from Ash Wednesday to Easter, then, does not include the Sundays.